The city of Marawi has been under a great amount of distress after the war outbreak and left many families—especially women and children—without homes. Besides the loss of shelter, food sources have become scarce as well. The war may be over, but the people are still fighting. Giving back can be as simple as eating a meal. Ateneo de Manila Fine Arts Department, Areté, Earth Kitchen, Gantala Press, Babai Women’s Network, Good Food Community, Hizon’s Catering, Kritika Kultura, Me & My Veg Mouth, and Saltwater Cinema present Food for Peace, an afternoon dedicated to Marawi. Food for Peace believes in the empowerment and peace-making efforts food can bring. This event is another opportunity to explore the Maranao food heritage and to show that the simple act of eating can be an act of unity and cooking as a bridge for change and engrossment. 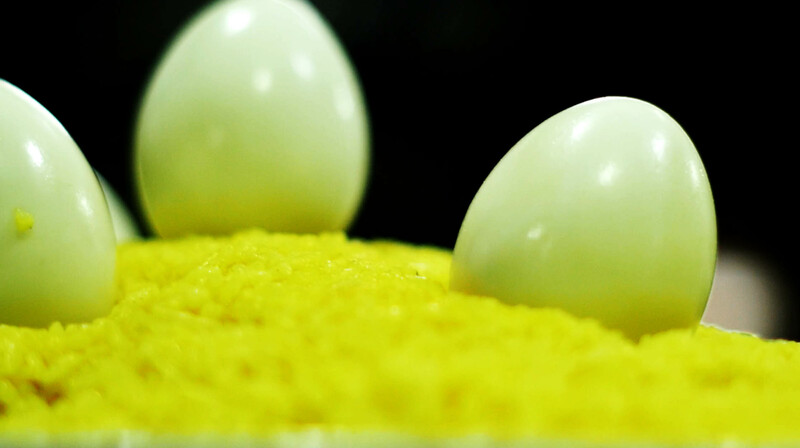 Eggs with turmeric rice; one of the meals that will be served at the event. Five speakers will participate in the Food for Peace Forum: Dada Atma, a monk from Ananda Marga, will discuss the concept of ahimsa (nonviolence) and the ‘compassionate diet’; Alex Baluyut, founder of Art Relief Mobile Kitchen, will talk about the works of ARMK in providing emergency kitchen services in crisis-stricken areas in the Philippines; Sarah Queblatin and the Green Releaf Team on creating gardens for internally-displaced persons (IDP); Datu Shariff Pendatun will shed light on the principles of Islam, particularly on food; and Charlene Tan from the Good Food Community on the concept of community-shared agriculture and the significance of farm-to-table as a tool for social justice and environmental protection. Guests can enjoy the mini-fair to be put up by participating communities to further raise funds for the evacuees. To register, you can go here. Food for Peace will be held at the Areté at Ateneo de Manila University.